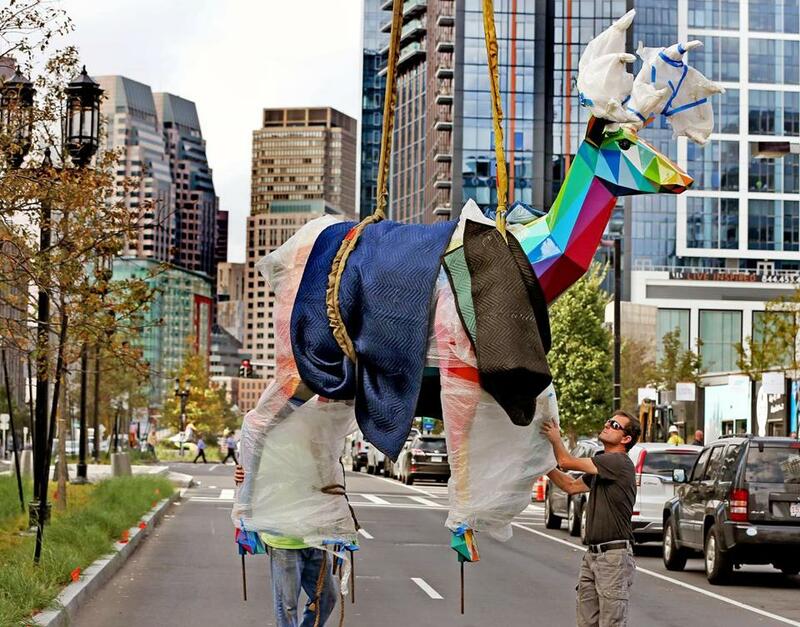 One of seven monumental sculptures by Spanish contemporary artist Okuda San Miguel now on display in the Seaport District. The collection of sculptures, called “Air Sea Land,” currently lines Seaport Boulevard. 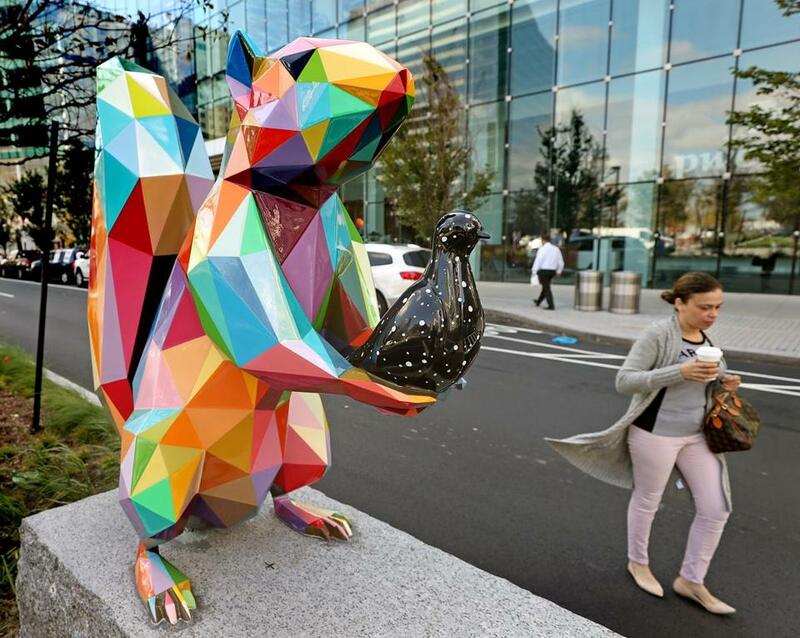 Some vibrant artworks have popped up in the Seaport District, offering a colorful alternative to the abundance of towering glass buildings that line the waterfront neighborhood. 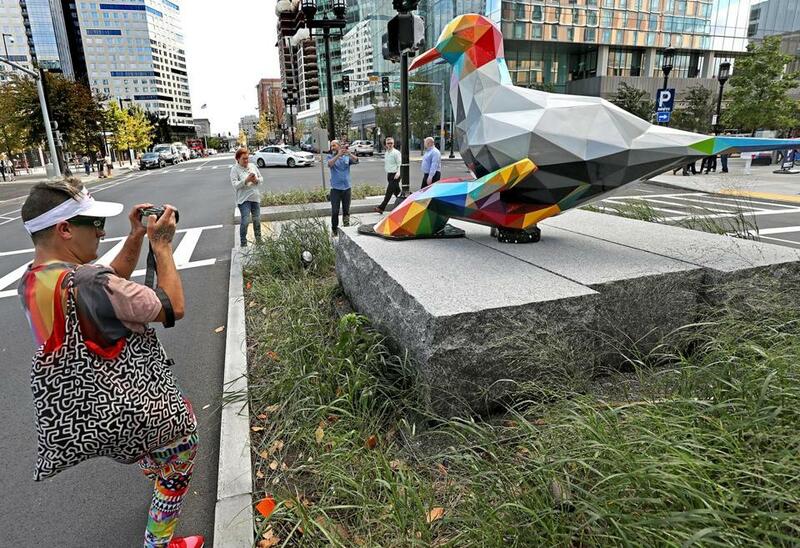 Spanish street artist Okuda San Miguel unveiled his latest installation, “AIR SEA LAND,” this week, a series of large-scale sculptures placed near pedestrian crossings along Seaport Boulevard that feature his signature “kaleidoscopic” style. 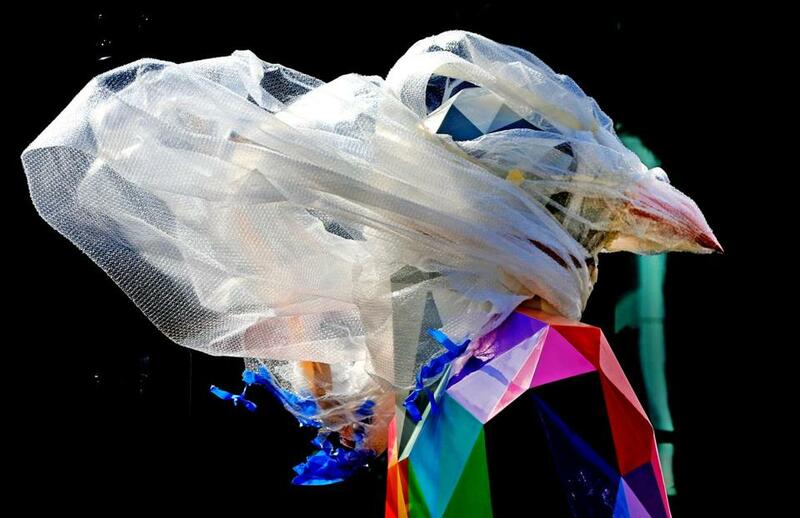 Okuda San Miguel photographed one of his sculptures. The polychromatic artworks, which were commissioned and funded by WS Development, in partnership with Justkids, range in size from 8 to 12 feet tall. They sit on the median strip that cuts through the neighborhood of high-rises, from Sleeper Street to Pier Four Boulevard, according to an announcement about the public display. In a statement, San Miguel, who considers himself a multidisciplinary artist, said his goal is to transform and enhance everyday spaces where people roam, bringing optimism to a given area. San Miguel teased his upcoming display in a series of Instagram posts this week. “Something big is happening now at @seaportbos Boston,” he wrote, alongside a photograph of one of his covered-up sculptures. One sculpture remained partly under wraps. Kara Elliott-Ortega, the city’s chief of arts and culture, praised San Miguel’s work and said Boston strives to feature public art in meaningful ways. “We extend a warm welcome to Okuda for this exciting public installation,” she said. San Miguel also has a colorful mural on display at City Hall Plaza this week, part of the “We The Future” public art exhibition for HUBweek. Called “Mermaids and Other Magical Creatures,” the 40-by-18-foot painting was influenced by the sculptures set up in the Seaport and ties in a similar color scheme, according to a press release. Okuda San Miguel said his goal is to transform and enhance everyday spaces where people roam, bringing optimism to a given area.